Are you wondering how you can make sure that your property reaches your beneficiaries after your death? Do you want to be sure that your financial or medical decisions will be overseen by someone you trust in the event of your incapacitation? You’re already in the early stages of the estate planning process. Wise estate planning involves making use of a wide range of legal options available to you for protecting and managing your assets on behalf of your heirs and making sure that your wishes concerning your medical care and other important issues are honored. By letting a skilled estate planning attorney assist you with putting together a comprehensive estate plan, you can make sure that you’re doing everything to protect your property and your rights regardless of what the future holds. Contact Tate & Tate to schedule a consultation with a dedicated estate planning lawyer today. Our clients often want to know whether establishing a will or a trust might be a better option when it comes to the cornerstone of a sound plan. The answer is: it depends. Families who have less complicated asset portfolios may find that a simple will is enough to meet their needs, while individuals who have assets in real estate or family businesses may benefit from the flexibility that a trust provides. Although more expensive and time-consuming to establish than wills, trusts can be tailored to a wide variety of estate planning needs. For example, families often combine irrevocable trusts with advance health care directives, powers of attorney, and other estate planning tools in order to make sure their wishes are respected when it comes to their health care and their financial affairs. One advantage of trusts, of course, is that they don’t have to go through probate court like wills do. Probated assets are harder to protect from excess taxation or creditors’ claims, and probate can be a costly and complicated process even with legal representation. Probate itself is overseen by an executor or personal representative who is usually named in the will itself or else appointed by the State of Alabama. The executor is in charge of accounting for and gathering the assets of the late testator, notifying creditors, honoring all legitimate debts, and then dividing the remainder of an estate among the decedent’s heirs in accordance with the instructions contained in the will. Probate and other matters of estate administration are best handled by an experienced lawyer; in fact, a skilled probate attorney can sometimes help their clients avoid court altogether. At Tate & Tate, we handle most kinds of estate planning and administration matters, including those involving wills, trusts, family limited partnerships, conservatorships, guardianships, powers of attorney, advance health care directives, and more. Part of our estate planning practice focuses on veterans’ benefits, Medicare, and other elder law or elder care issues. Call us today to put a friendly ally on your side who can help you develop a plan that meets your family’s needs. Get started on securing your peace of mind – call our Fort Payne office today to make an appointment. When an American worker isn’t able to go back to their job due to the onset of a temporary or permanent disability, they have the right to apply for federal Social Security disability insurance benefits. This involves submitting an application to the Social Security Administration that includes the applicant’s work history and medical documentation. This application is then turned over to Alabama Disability Determination Services for consideration. 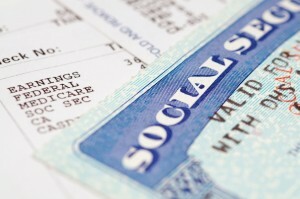 Unfortunately, most of the time ADDS denies benefits to first-time applicants. Some of these denials (called technical denials) stem from the applicant’s lack of sufficient work history to qualify for SSDI. Under such circumstances, the individual concerned may be eligible for Supplemental Security Income. On the other hand, sometimes ADDS will deny an application because they’re not convinced that the type or severity of the applicant’s disability qualifies them for benefits. When this occurs, the individual with the disability has the right to appeal their case in order to get their denial overturned. The good news is that most of those who go to appeal their applications are successful in eventually receiving their benefits at some stage of the appeals process. What’s more, those individuals who partner with an experienced SSDI attorney during the appeals process are roughly twice as likely to get their benefits approved than those who do not. If you are unable to continue working because of a physical or mental disability and have seen an initial appeal denied by ADDS for non-technical reasons, chances are you stand to benefit from speaking with a local Social Security Disability Insurance lawyer as soon as possible. Call the father-son attorney team at Tate & Tate to get practical answers to your question about the SSDI appeals process in the State of Alabama. We never collect a fee unless we’re successful in getting your denial overturned, and even then under the law we’re only entitled to a modest fraction of your past-due benefits. Contact our Fort Payne office today to make an appointment with a seasoned SSDI lawyer who will have your back at every stage of the appeals process. Within 60 days of your non-technical denial, you are supposed to submit a written letter to the SSA stating your intention to file your appeal. You only have 60 days from the date of the denial to do so. If the SSA agrees to honor your appeal, you can schedule a hearing with an administrative law judge. Although it can take a long time to secure a hearing – sometimes as long as a year or more – it’s worth it because this is the stage of the appeals process in which applicants are most likely to see their denial overturned. During the hearing, you have the opportunity to make your case in person before the ALJ. This is why the hearing with the ALJ is the stage of the appeals process at which legal representation is most useful. A good SSDI attorney can help prepare you for your hearing by coaching you about the kinds of questions you are likely to be asked and see that you stand the best possible chance of getting the ALJ to grant your benefits. If the ALJ won’t approve your benefits, on the other hand, you have one more option: submitting your appeal to Alabama’s Appeals Council. It can be very difficult to get an application approved at this stage, but it’s not impossible. Although it’s true that you can still make a federal appeal after this if necessary, in many cases this can be unrealistic because of the considerable time and expense involved. Contact our Fort Payne office to get more information about the appeals process and how an SSDI attorney can help you protect your rights during this difficult time. We’ll guide you through the stages of the appeals process in the State of Alabama and make sure you’re doing everything you can to get the federal benefits you deserve. Under Alabama’s State Code, moving violations and most criminal misdemeanors are handled by the municipal court of the city in whose jurisdiction the offense occurred. Each city or town is permitted to establish its own laws governing traffic violations or criminal behavior as long as they do not conflict with the Alabama criminal code. Examples of cases tried in the municipal court include DUI, domestic violence, misdemeanor cannabis possession, shoplifting and other petty theft, criminal trespass, and all speeding tickets and moving violations. In most cases, convictions in municipal court result in fines of up to $500 and a year in jail, although there are often other consequences including mandatory counseling, restitution payments, or probation. When drunk driving charges like DUI or DWI are involved, however, sentences are dictated by the Alabama Criminal Code involved and can be much harsher. In some cases, defendants can expect to pay thousands of dollars in fines if convicted. If you have been charged with drunk driving or municipal court, contact Tate & Tate to schedule a consultation with an experienced criminal defense attorney today. Even when we can’t beat our clients’ charges – or get them dismissed – we can usually still find ways to get them substantially reduced. 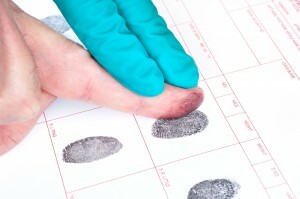 Let a knowledgeable Fort Payne criminal defense lawyer handle your municipal court case. We can also assist you with protecting your driving privileges if you are facing an administrative suspension of your license by the Alabama DMV following an arrest for DUI. The US Constitution and the Alabama Constitution alike guarantee that defendants have the right to trial by jury. Because of this, if you are convicted in municipal court, you have the right to appeal your case via the local County Circuit Court. However, there are strict timelines involved. Defendants have only fourteen days to file an appeal with the appropriate County Circuit Court, and the filing process can be very difficult without informed legal representation. Contact Tate & Tate to speak with a skilled criminal defense attorney about your case. Whether you’ve just been arrested or need help with appealing a municipal court conviction, we’ll help you fight for your rights as though we stood in your shoes. Call today! Contact a knowledgeable Fort Payne attorney today at (256) 845-1047.